When Joe Shuster and Jerry Siegel created Superman way back in 1938, the naive young men did not consider the fact that their creation would be taken, though stolen may be more apropos, away from them - how could they? 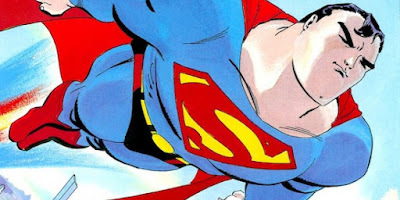 At the time of Superman's creation there was no superhero industry and their creation, that champion of the underdog, defender of the people, would largely be responsible for setting off a bandwagon that continues to roll, maybe faster then ever, today. Without Superman there would have been no Batman and without those two costumed punchers there wouldn't even be a superhero genre as we know it. Shuster and Siegel came of age during the Great Depression - as young men they were drawn to each other because of a shared interest in popular culture - they were geeks before the word had been coined. Siegel dreamed up the character that would develop into Superman in 1934. He described the character to his friend, Joe Shuster who immediately started to sketch the character based on his friend's description. An early version of Superman as drawn by Shuster. 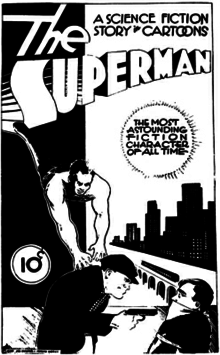 The pair put an initial strip together, as pictured left, but their character, then called The Superman was rejected by every publisher the pair approached. It is interesting to note that two years before Siegel came up with the idea of his invincible crime fighter, his father was killed during a robbery. On June 2, 1932, Jerry Siegel's father Mitchell, a Jewish immigrant from Lithuania, died during a night-time robbery at his Cleveland second hand clothes store. The 60-year-old died during the robbery. It is quite possible that this tragic event would lead to Siegel creating a bullet-proof crime fighter. Initially Superman's origins were vague but as the two men continued to shop their creation around to uninterested publishers, they added to Superman's mythos - naming him Clark Kent and explaining his powers as due to the fact that he was an alien from another planet. It is interesting to note that much of Superman's origin as known today was not invented by Siegel but by Batman co-creator, Bill Finger who wrote up the origin story after Siegel had been kicked off the strip by Detective Comics. Shuster and Siegel were delighted in the interest in their character and after a meeting with Vin Sullivan they sold their strip to Detective Comics Inc for $130 - the deal meant that all rights in the character. This was one of the most audacious deals since Peter Minuit convinced the Indians to sell Manhattan Island for $24. 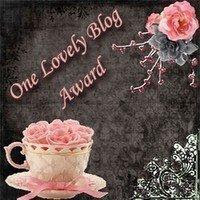 In consideration of $130.00 agreed to be paid me by you, I hereby sell and transfer such work and strip, all good will attached thereto and exclusive right to the use of the characters and story, continuity and title of strip contained therein, to you and your assigns to have and hold forever and to be your exclusive property and I agree not to employ said characters by their names contained therein or under any other names at any time hereafter to any other person firm or corporation, or permit the use thereof by said other parties without obtaining your written consent therefor. The intent hereof is to give you exclusive right to use and acknowledge that you own said characters or story and the use thereof, exclusively. I have received the above sum of money. 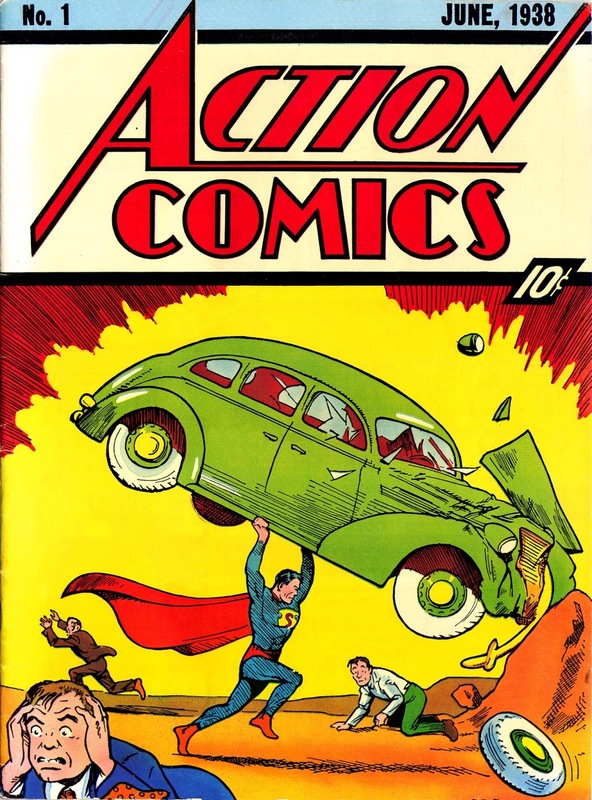 The character made his debut in the first issue of Action Comics - Superman was shown on the cover, dressed in a figure hugging blue suit with a flowing red cape. He was lifting a green car up over his head, while a terrified, bug eyed witness flees directly into the foreground of the frame. In the background another man can be seen running away from this strange man who can lift an entire car not only off the ground but up above his head. The cheque which Siegel and Shuster received for their first Superman story. 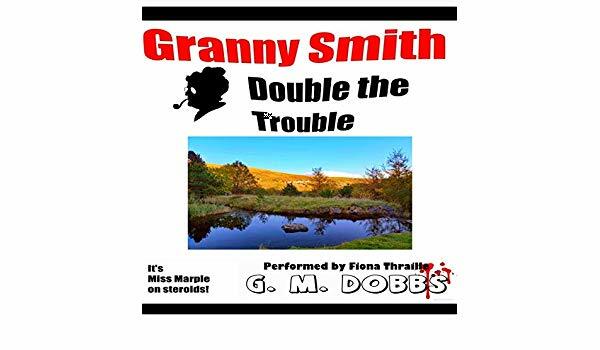 The character was an immediate success - as the lead feature, 13 pages per episode, he became a hit with young readers, and just a year after his debut the character was given his own title in which his story took up the entire issue, all 64 pages. This was a first for comic books at a time which when the accepted format was for anthologies featuring several different characters. Superman, issue one sold incredibly well and the character soon became a household name across America. In 1947 Siegel and Shuster sued Detective Comics Inc for the rights Superman and a "just share" of all profits that the publisher and its partners made from the character. The suit was filed with the Supreme Court of the State of New York, in Westchester County. Siegel and Shuster argued that the March 1, 1938 contract, in which they sold Superman to Detective Comics, should be voided because it lacked sufficient consideration for Siegel and Shuster. Judge Young, however, ruled that the $130 mentioned in the contract was "superfluous" because Detective Comics was exercising its right of first refusal which had been agreed upon in an employment contract in December 1937. He concluded that the true consideration to Siegel and Shuster in the March 1938 contract was simply to have Superman appear in print. Again in 1969, Siegel and Shuster sued Detective Comics Inc in United States District Court for the Southern District of New York over ownership of Superman, based on the Copyright Act of 1909, which allowed the creator of the work to apply for copyright renewal after 28 years. The court found that in the 1947 final consent judgment, Siegel and Shuster had transferred "all their rights" to the Superman character to National (Detective Comics parent company) , including the renewal term. This decision was based on the legal precedent set by Fred Fisher Music Co. v. M. Witmark & Sons, in which the US Supreme Court ruled that an author could in writing convey his renewal rights in advance of their vesting. The court also ruled that Superman was a work made for hire, despite the fact that Siegel and Shuster had been developing the character long before they began employment at National. 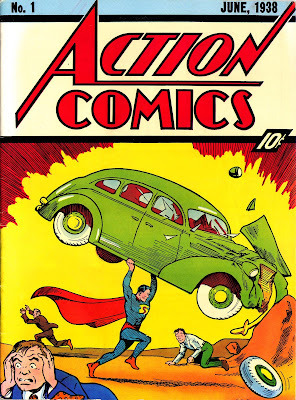 The court argued that National had rejected Siegel and Shuster's earlier prototype of Superman and that the revised version that appeared in Action Comics #1 was made under the supervision of Detective Comics. 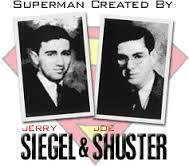 Siegel and Shuster were dismayed but they would not give up their battle to regain the rights to their creation - by this period the character was being worked on by other writers, and Siegel and Shuster had even lost their creator credits from the Superman comic strips. And In 1975, Warner Bros. announced the production of a Superman movie to be directed by Richard Donner. Siegel publicly condemned the project and drew attention to his mistreatment by DC Comics. 'I curse this movie.Why am I putting this curse on a movie based on my creation of Superman? 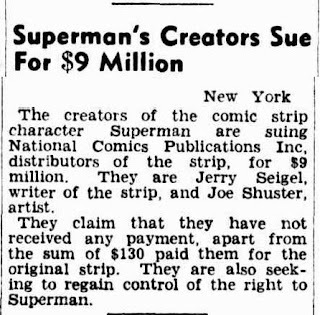 Because cartoonist Joe Shuster and I, who co-originated Superman together, will not get one cent from the Superman super-movie deal. Superman has been a huge money-maker for 37 years. 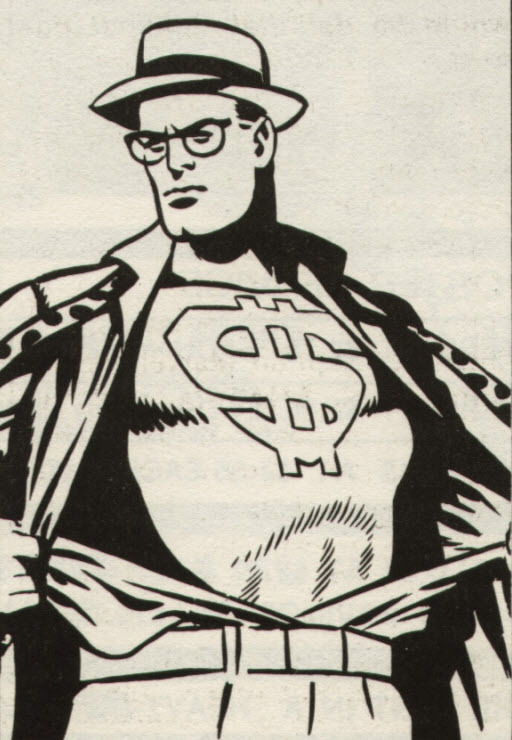 During most of those years, Joe Shuster and I, who originated the character Superman, got nothing from our creation, and through many of those years we have known want, while Superman'S publishers became multimillionaires. As far as Joe and I are concerned, we have been victimized by evil men and a selfish, evil company which callously ruined us and appears to be willing to abandon us in our old age, though our creation Superman has made and continues to make millions for them. Newspaper articles state National was paid $3,000,000 for the rights to make the Superman movie and that $15,000,000 will be spent to produce the movie. 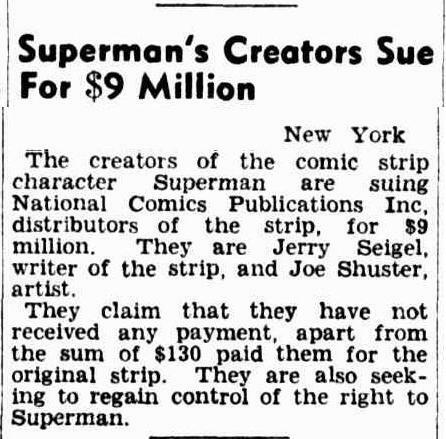 And the originators of Superman, Jerry Siegel and Joe Shuster, are not to receive one cent. Siegel found sympathizers such as Neal Adams and Jerry Robinson, who waged a public relations campaign for better treatment of comic creators in general. In order to avoid bad press, Warner Bros. agreed to give Siegel and Shuster a yearly stipend, medical benefits, and credit their names in all future Superman stories, in exchange for no longer contesting ownership of Superman.The stipend was initially $20,000 but rose over the years. Shuster died in 1992 never having received his fair share of the Superman bonanza. DC Comics offered Shuster's heirs a stipend in exchange for never challenging ownership of Superman, which they accepted for some years. And when Siegel died in 1996 it seemed as if the legal battles regarding Superman were over once and for all. Growing up comic books were of vital importance - They mattered to a young boy. There were just another of the essentials needed for any kind of life. As every young boy knew the true necessities for a happy life were food, water, shelter, assorted candy and comic books. from a shelf, switch on a computer or fire up a video game. This was pre-home computer, pre cable television, even VHS video tapes were still some time in the future. We had three TV channels - two from the Beeb and one commercial station - entertainment, particularly for an imaginative young boy was thin on the ground. Sure we had our cartoons but they only played at certain times of the day, the rest of the time the small screen seemed obsessed with soap operas, game shows and current affairs. Hardly the material designed to stimulate young minds. All in all you'd think we were starved of exciting adventure stories designed to stir the blood, but there was one avenue open to us. There was one medium offering wildly entertaining stories whenever the fancy took us. That was the comic book - the newsagents shelves were stuffed full of books with titles like Tiger, Warlord, Battle, Victor, Action - they cost pennies (I think the average price of a comic book when I started buying on a regular basis was around 5p) and yet provided entertainment worth many times that paltry sum. In the far off United States (a country that seemed so exciting to any British kid) the comic book industry was dominated by colourful stories of super heroes, but in the UK super heroes, with very few exceptions, failed to take off. If Superman's capsule had crashed down in Clacton instead of the Mid-West, then Kal-Ell would have been grounded from the off. It wasn't that British comic books were any less fantastic, but by and large the settings for our tales were far more grounded in reality. 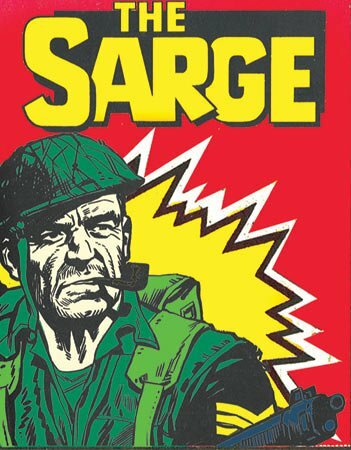 Of course we had our science fiction strips, Dan Dare and so forth but for pulse pounding adventure it was the war comics to which we turned. War comics were always popular in the UK - And for decades after the guns of the second world war fell silent, British kids celebrated our victory over the Nazis in wonderfully drawn, black and white comic books. Characters like Lord Peter Flint kept a stiff upper lip while besting evil Nazi spies, Union Jack Jackson fought alongside the Americans and usually got them out of some tough spots, and the Rat Pack were too good at Hun killing to leave rotting in a high security prison. 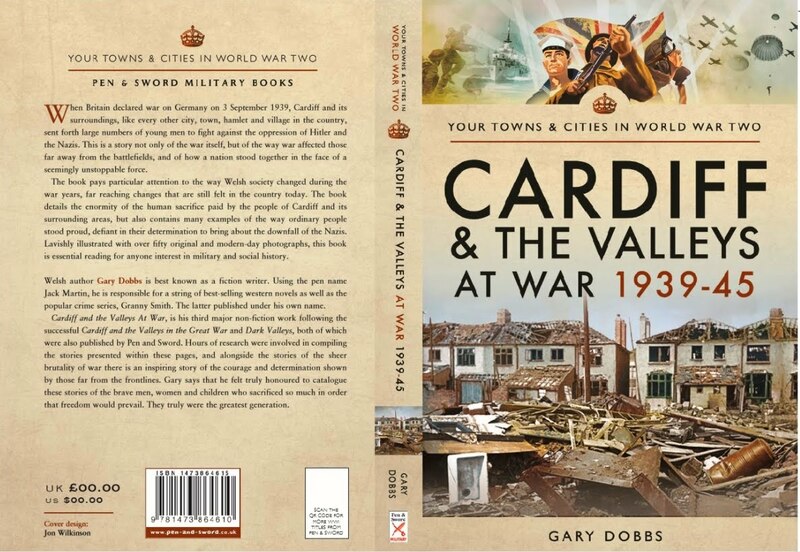 In skilfully drawn pages scores of humble Tommies stood up to the might of the enemy and gained victories against incredible odds. By the time I started reading comics in the early 1970's there was already a rich history of boy's adventure comics - Victor, Valiant, Lion were the hot titles but these belonged to the previous generation and it was newer titles like Warlord from DC Thompson and Battle Picture Weekly from IPC that caught my imagination. 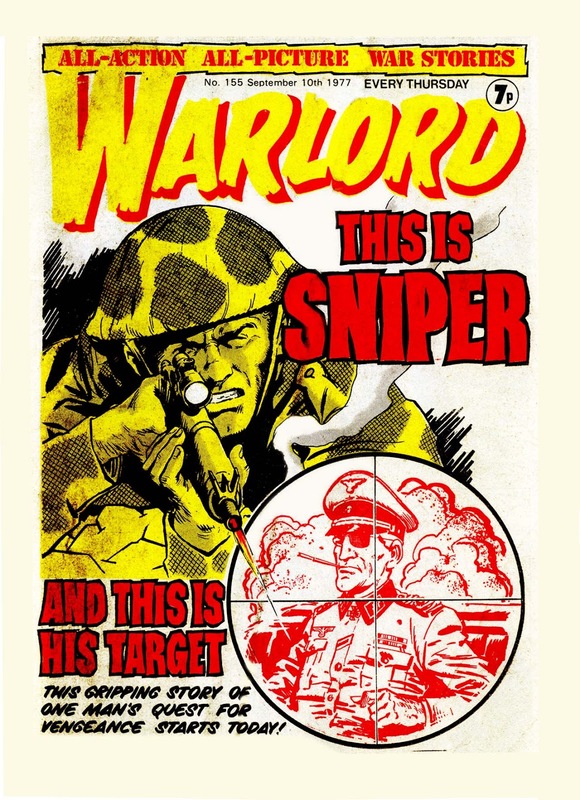 Warlord first hit the stands in 1974 and was far grittier than the usual war comics for sale during that period - so successful was it that rival publisher, IPC launched Battle Picture Weekly in order to snare some of the readers eager for this new kind of comic book reader. Warlord was the first UK title to be dedicated solely to war stories, other comics usually contained several genres. And right from the start it set the bar very high in terms of artwork and storytelling. Battle Picture Weekly, first published in 1975, was launched directly as a result of the success that rival publisher, D C Thomson were scoring with Warlord, and to my mind became far the superior title. With a creative team that included Pat Mills and John Wagner how could it not be! 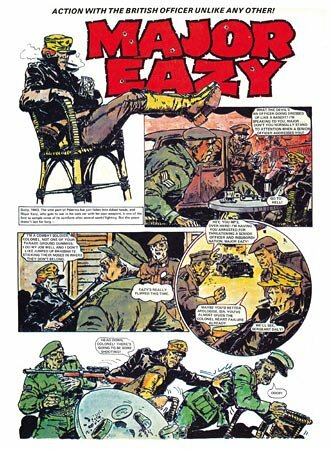 This was the comic that would one day feature a truly groundbreaking first world war strip by Pat Mills, called Charley's War which remains arguably the best war strip ever produced. “Pat (Mills) and John ( Wagner) wrote the initial episodes and then farmed them out to other writers. GFD ( Gerry Finley Day) was the author of D-Day Dawson. Lofty’s One-Man Luftwaffe – that was John and Pat. Their brief was not only to create a new title but bring new talent into the industry. We’d worked with a bed-rock of people. When you launched a new title, you rang up Tom Tully, he would do four of the new strips, Ted Cowan – people of that era – Ken Mennall. A lot of the people in Battle #1 were new to me." Original Battle Staff Editor, Dave Hunt. Perhaps the main difference between Warlord and Battle were rooted in the British class system. Battle felt working class, while Warlord seemed to be establishment. No better is this illustrated than in the original flagship characters in each title. Warlord had Lord Peter Flint, a wartime secret agent who when not away saving the country, was living the life of a wealthy aristocrat, his pleasures no doubt funded by the tax payer. 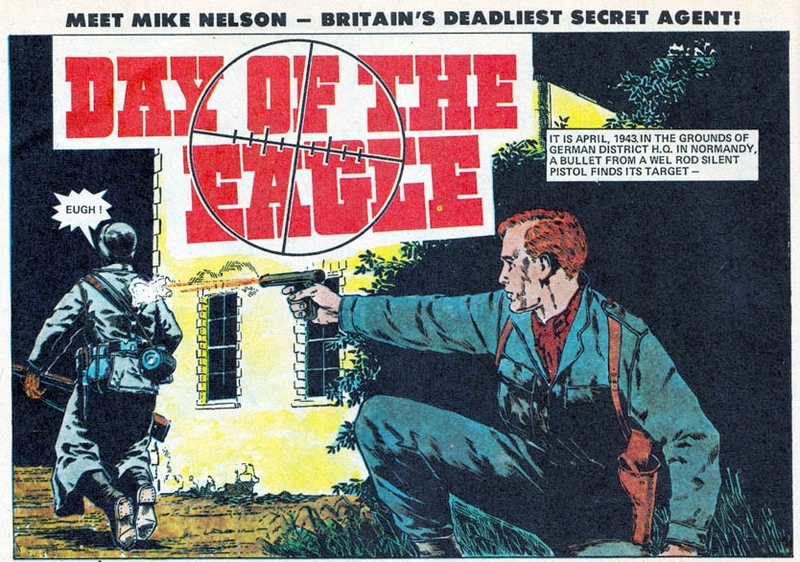 But Battle's answer to the character was Mike Nelson, a working class bruiser who was billed as Britain's deadliest secret agent. And where Lord Peter Flint believed in giving the enemy a fair shake, Mike Nelson had no such morals - in the very first frame of his first appearance in Battle he shoots a German soldier in the back. Now back in the day I read both Warlord and Battle, but Battle soon became my publication of choice. Where Warlord's heroes would dispose of the enemy with ease and then return home for tea and cakes, Battle's heroes seemed to bleed. The Mike Nelson character would become less important to Battle as the title found its true identity. 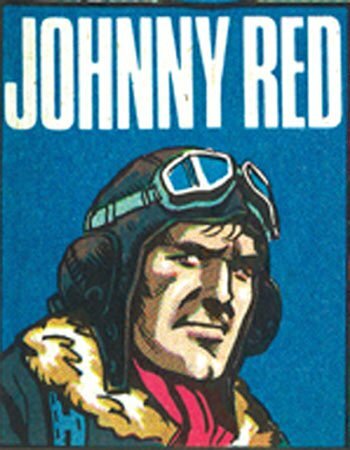 The first adventure would run until May 1975, and although the character returned from time to time, it was the other strips that became reader favourites. Strips like Rat Pack, about a group of convict soldiers, was a huge success with readers, as was D- Day Dawson and in 1976 Battle introduced a character that became so iconic that he has been re-invented as Cursed Earth Koburn in the pages of Judge Dredd Magazine. 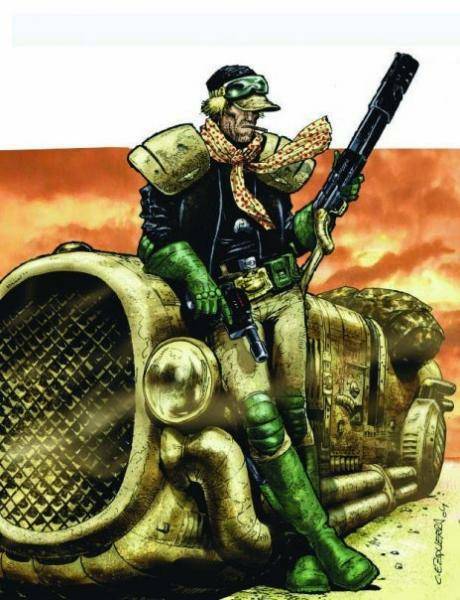 This character was Major Easy, created by Alan Hebden and Carlos Ezquerra, a laid back James Coburn lookalike who usually fought the war from a horizontal position. 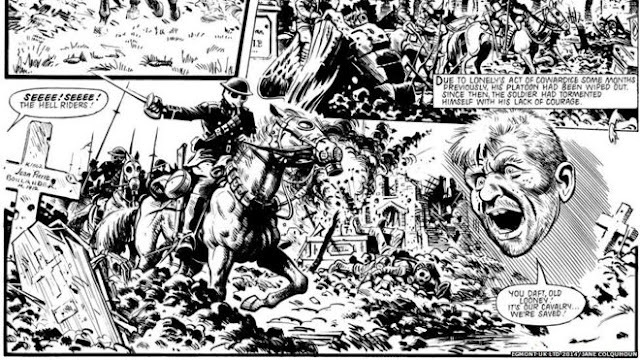 It was in 1979 that Battle finally came of age, with the strip Charley's War which was written by Pat Mills and drawn initially by Joe Colquhoun. This was a different kind of war story. For one thing it was set in the First World War, when most adventure strips tended to favour the second world conflict, and for another it was an anti-war strip. YEP, AN ANTI WAR STRIP IN A WAR COMIC!!!! 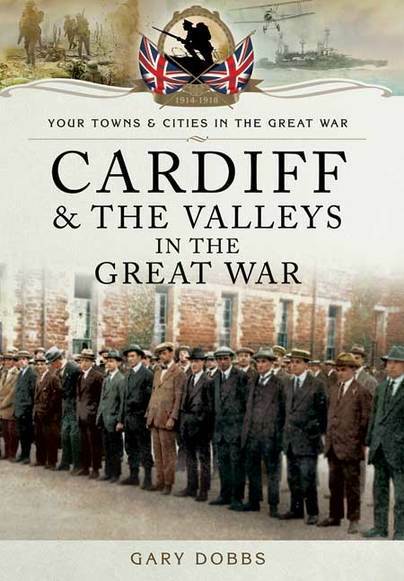 'I did not want Battle to glorify war, and Charley's War is an anti-war story," said Mills. "I think that in the 1970s and 80s it was legitimate, more so than it is today, to describe the Great War as a tragedy, a mistake and criticise the incompetence of generals. 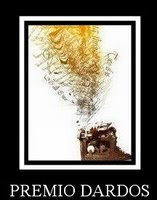 In 2014, revisionists have been trying to improve the image of the generals." Pat Mills. Charley's War is a true work of literature - a harrowing, intricately drawn look at the Great War as seen through the eyes of working class, semi-literate Charley Bourne. 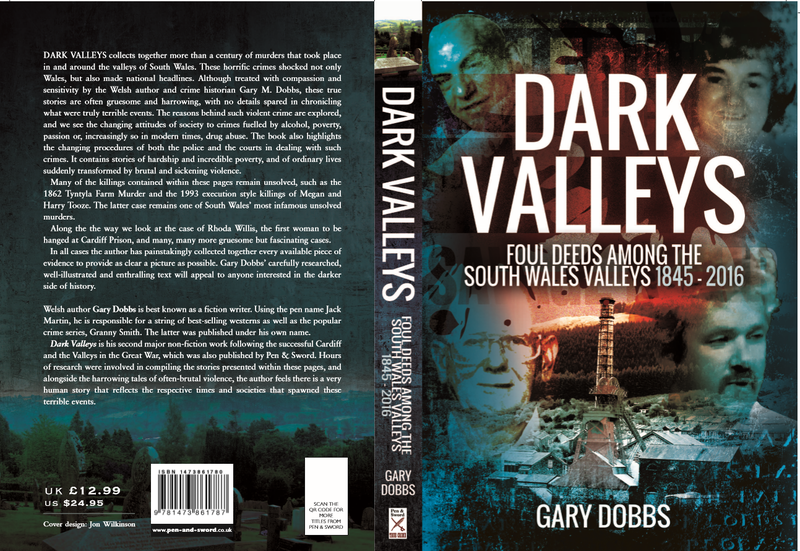 Pat Mills took the inspired method of telling much of the story through young Charley's diary. 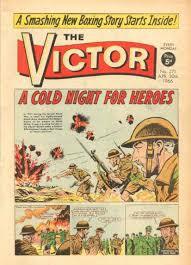 The strip was truly groundbreaking, featuring not gung-ho adventure but a look at the war as it truly must have been. 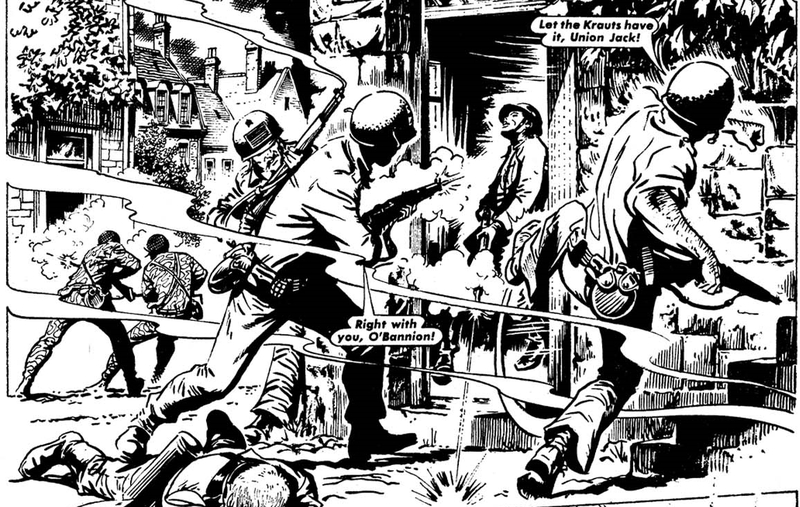 Charley's War are available as a series of handsome graphic novels from Titan Books.